Low-mass companions could form either like a planet, in the protoplanetary disk of their stellar host or like a star or a brown dwarf, out of a collapsing cloud of gas. Credits: Caltech. Using new observations made at the Keck Observatory, an international team of researchers measured the spin rates of low-mass stellar companions in order to find new clues to their origin and figure out if they are planets or tiny “failed” stars. Taking a picture of a planet in a solar system beyond our sun is no easy task. The light of an exoplanet’s parent star far outshines the light from the planet itself, making the planet difficult to see. While taking a picture of a small rocky planet like Earth is still not feasible, researchers have made strides by snapping images of about 20 giant planet-like bodies (including GU Psc’s companion detected in 2014). These objects, known as planetary-mass companions, are more massive than Jupiter, orbit far from the glare of their stars, and are young enough to still glow with heat from their formation—all traits that make them easier to photograph. But one big question remains: Are these planetary-mass companions actually planets, or are they instead small “failed” stars called brown dwarfs? 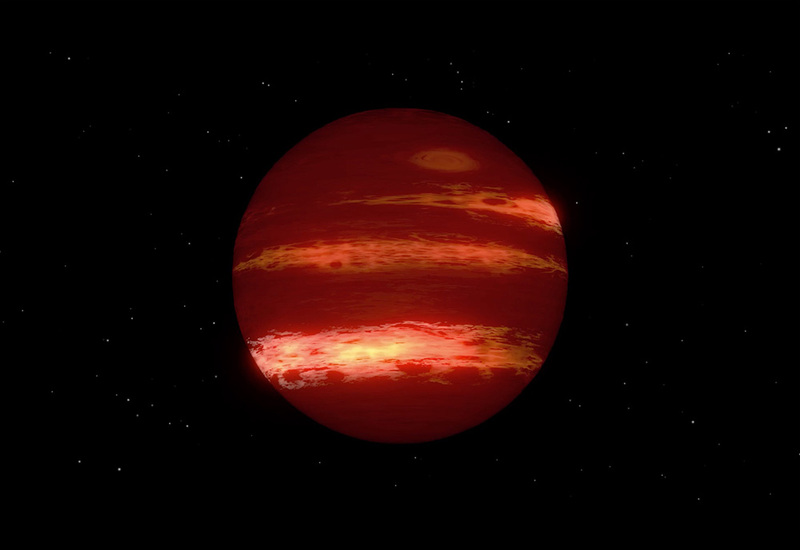 Brown dwarfs form like stars do—out of collapsing clouds of gas—but they lack the mass to ignite and shine with starlight. They can be found floating on their own in space, or they can be found orbiting with other brown dwarfs or stars. The smallest brown dwarfs are similar in size to Jupiter and would look just like a planet when orbiting a star. An international team of researchers including Björn Benneke, from the Institute for Exoplanet Research at University of Montreal, have taken a new approach to the mystery: they have measured the spin rates of three of the photographed planetary-mass companions and compared them to spin rates for small brown dwarfs. The results offer a new set of clues that hint at how the companions may have formed. The three low-mass companions observed, ROXs 42B b, GSC 6214-210 b, and VHS 1256-1257 b. Credits: left: Kraus, A. L. et al. 2014, ApJ, 781, 20; center: Ireland, M. J. et al 2011, ApJ, 726, 113; right : Gauza et al. 2015, MNRAS, 452, 1677-1683. The researchers measured the spin rates of three stellar companions. Credits: Caltech. The study, titled, “Constraints on the Spin Evolution of Young Planetary-Mass Companions,” was funded by NASA and the Sloan Research Fellowship Program. It appears in December 4th edition of Nature Astronomy. Other authors include Caltech’s Konstantin Batygin, assistant professor of planetary science and Van Nuys Page Scholar; Björn Benneke, formerly of Caltech and now at the Institute for research on exoplanets, at University of Montreal; and Brendan Bowler of the University of Texas at Austin.